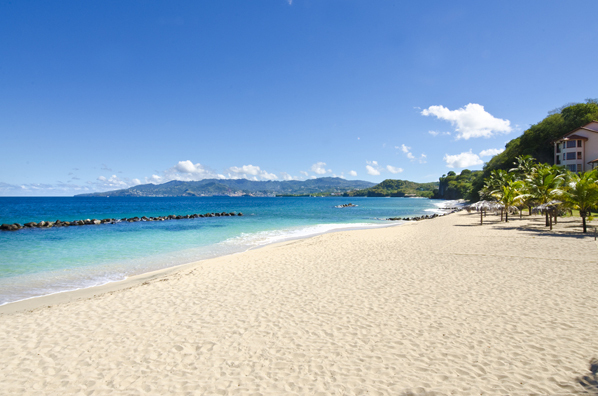 Sandals Resorts will open the doors to its newest and most contemporary Luxury Included resort, Sandals LaSource Grenada Resort & Spa, in December 2013. Situated on 17 acres of stunning land along the pristine Pink Gin Beach, Sandals LaSource Grenada will offer guests the highest level of luxury with an unprecedented look and feel. With Sandals’ most elaborate accommodations to date, nine global gourmet dining options with the brand’s very first steakhouse, and an expansive Wellness Centre, guests of Sandals LaSource will have a hard time deciding which they love discovering more, the new exotic destination of Grenada or Sandals’ latest lap of luxury. Boasting coral inhabited azure waters met by white-sand beaches, locals that treat visitors like house guests, and a history that that dates back to 1705, the island of Grenada is a marvellous addition to Sandals’ collection of stunning scenery and memorable experiences. “We are thrilled to introduce our guests to another breath-taking Caribbean island, offering even more alluring destinations for a Luxury Included® holiday,” explained Gordon ‘Butch’ Stewart, chairman of Sandals Resorts International. Conveniently located only minutes from Maurice Bishop International airport, Sandals LaSource Grenada will boast a total of 231 rooms housed within three distinct villages: Pink Gin, Italian and Tahiti. Pink Gin Village: Exuding a serene, tropical ambiance, the resort’s Pink Gin Village will be comprised of two existing blocks of rooms refurbished with custom-built, contemporary furniture, elegant Turkish marble floors and lavish amenities. One block will boast 70 oceanfront rooms, including walkout rooms, while the second block will include 30 luxurious junior suites. Additionally, all bathrooms will be completely redesigned to be modern and exposed with transitioning wall art to customise privacy. Guests of the Pink Gin Village will have easy access to the resort’s gorgeous stretch of white sand beach, a new zero-entry infinity pool, expanded and renovated lobby, which will include the departure lounge, Club Sandals Concierge, gift shop, wedding lounge, SnapShots photography, Island Routes Tours desk, and the resort’s Red Lane Spa with nine treatment rooms, as well as a nail and hair salon. For entertainment, guests can enjoy the multi-purpose “Living Room,” an outdoor open-air hangout featuring a bar, piano, billiards, and more. Italian Village: Perched upon a cliff overlooking the resort and breath-taking Pink Gin Beach, the all-new five-story Italian Village will consist of 48 rooms with two exclusive river pools at the ground level. The first three floors will feature one-bedroom, split-level suites with spacious bathrooms, flat screen televisions and Japanese-style soaking tubs. The fourth and fifth floors will consist of more extravagant suites with butler pantries, showers, freestanding claw-footed bathtubs, living rooms, dressing rooms, and private infinity edge plunge pools situated on the balcony. Tahiti Village: The exotic Tahiti Village is another brand new addition to the resort, consisting of the brand’s signature Rondoval suites, top-tier millionaire suites, plunge pool suites and luxury and premium rooms. Situated on the resort’s mountainside, guests staying in the Tahiti Village will be able to take advantage of the nearby pool with a coveted, thatched-roof swim-up bar. The state-of-the-art millionaire suites, the highest room category, will feature private entrances, glass tile plunge pools, indoor and outdoor showers, 65-inch TVs and more. Rondoval guests will find an indoor 61-inch round tub, indoor and outdoor showers, private pool and Jacuzzi as part of their secluded accommodation. Dining Options: Guests will be able to whet their palates at their choice of nine international, gourmet dining options, including Sandals first top-tier steakhouse called Butch’s Chophouse, named after the resort company’s founder and chairman. True to the mission of Sandals’ Discovery Dining program, internationally trained chefs will create authentic dishes that take guests on a gastronomic expedition around the world. Housed in the Pink Gin Village, Sandals LaSource Grenada’s impressive gastronomic experiences will include Soy, a sushi bar; Café De Paris, a French café; Spices, serving Caribbean cuisine; Le’Jardinier, a French restaurant; and Neptune’s, a Mediterranean beach bar. Those dining in the Tahiti Village will enjoy Kimono’s, a Japanese Teppanyaki restaurant; Cucina Romana for Italian fare; Butch’s Chophouse; and Dino’s Pizzeria. Attractions and Amenities: When it comes to entertainment, the resort will provide plenty of options to suit any guest, whether offering themed cocktail parties, beach bonfires, or live piano music and dancing at the “Living Room.” At night, guests will also enjoy unwinding at one of Sandals’ signature fire pits romantically scattered about the resort. Another new enhancement includes a fully-equipped indoor and outdoor wellness centre complete with a state-of-the-art gym, waterfalls and reflective pools, catering to the needs of all fitness-enthusiasts with special classes and high-performance equipment. Finally, for those looking to make Grenada their temporary company office, the resort will offer over 2,000 square feet of meeting room space with advanced audio and visual capabilities. 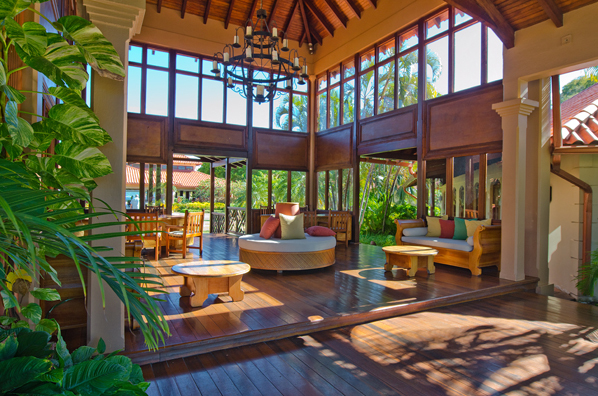 Making its home in the Spice Island, Sandals LaSource Grenada will be the fourteenth Sandals Resort in the Jamaican-based company’s portfolio. Delivering all that is promised in a Luxury Included Holiday guests will encounter the finest beaches in the Caribbean, deluxe accommodations, premium brand wine and spirits including wines by Beringer Vineyards and Appleton Rum, international a la carte culinary delights, land and water sports including SCUBA for certified divers, airport transfers and all resort taxes and fees. What Makes Brittany Such a Holiday Draw?